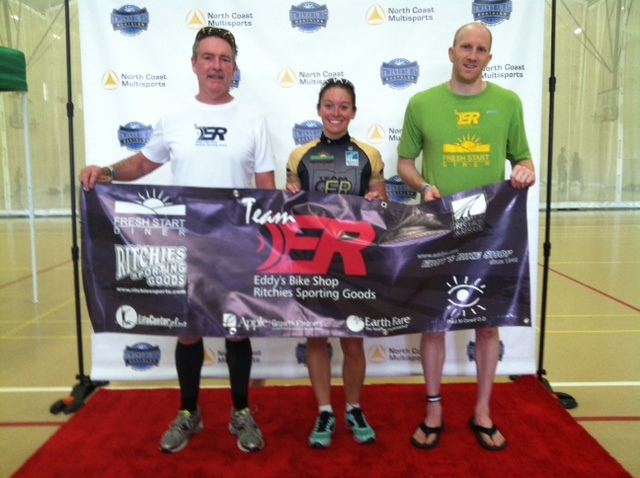 Angelica with her 3rd place overall for the duathlon. 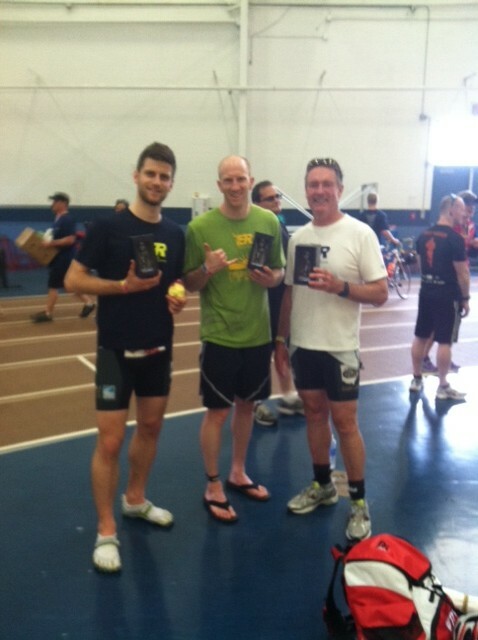 Alex, Chris and Henry with awards from Twinsburg Du. 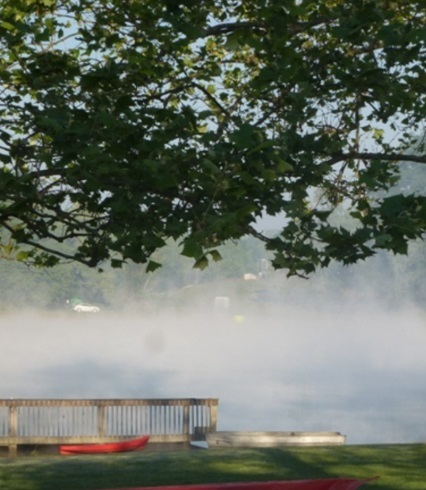 Waiting for fog to rise before the swim can start. 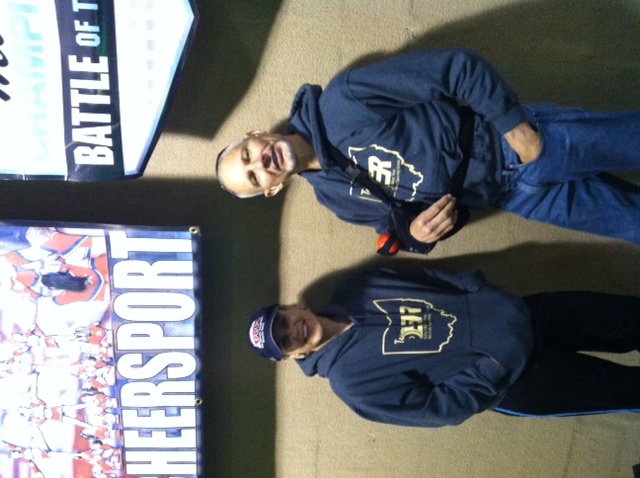 Air temp in the 30s. 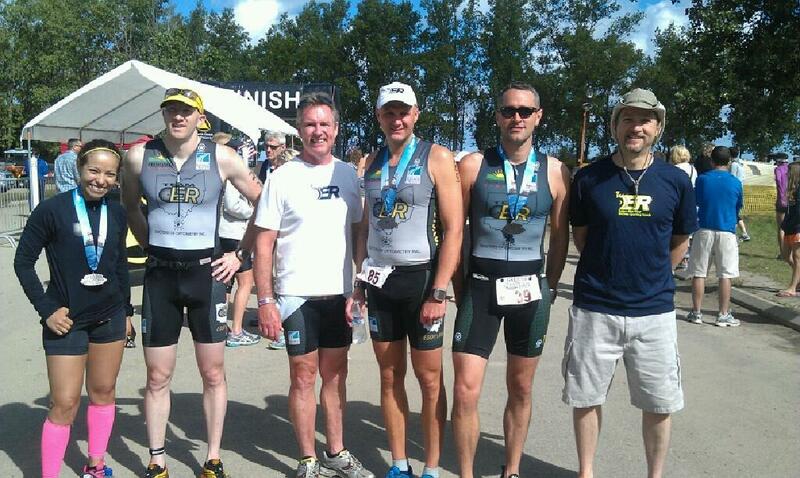 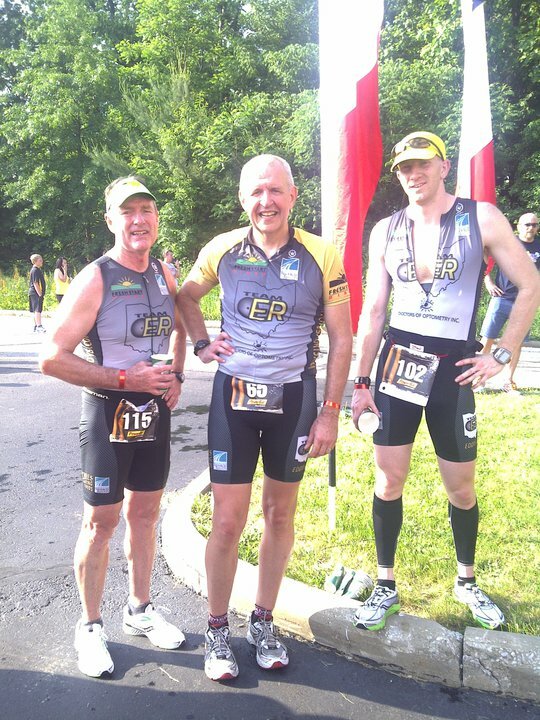 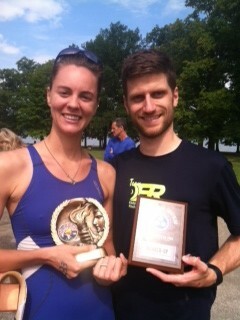 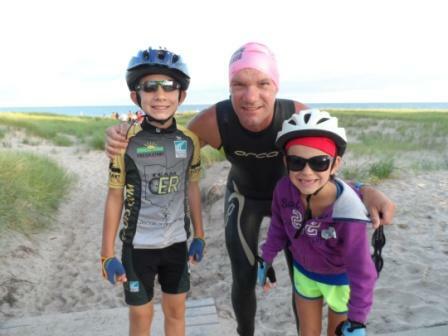 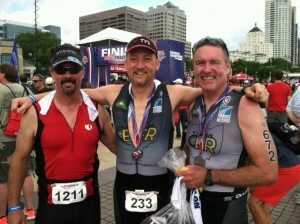 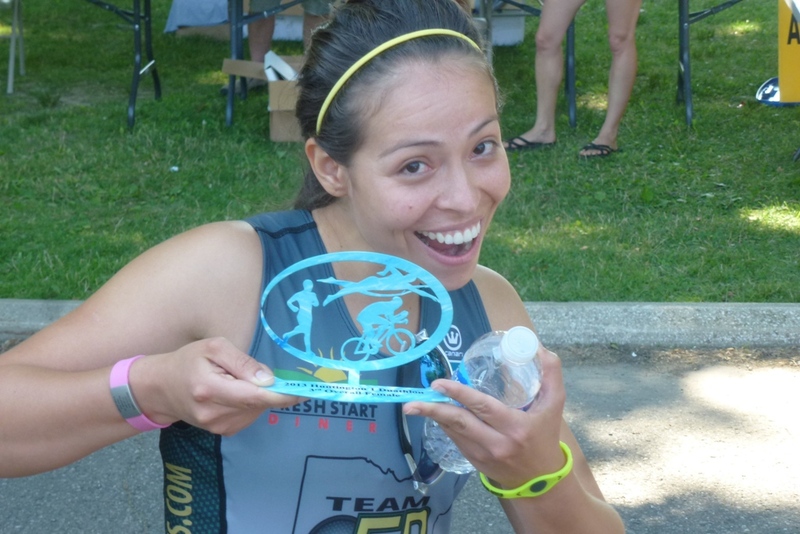 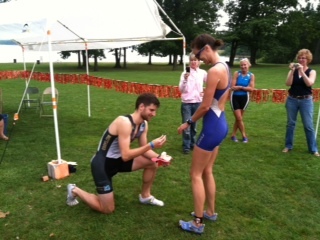 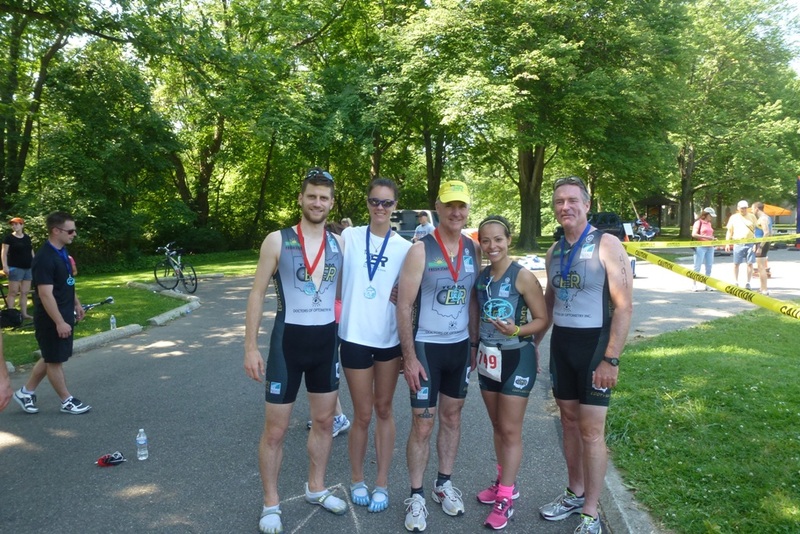 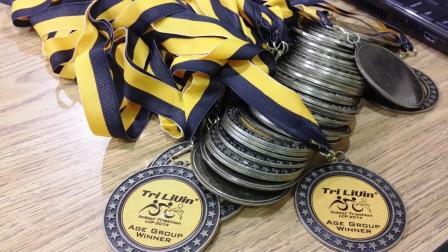 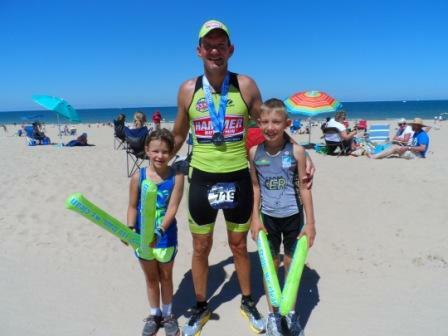 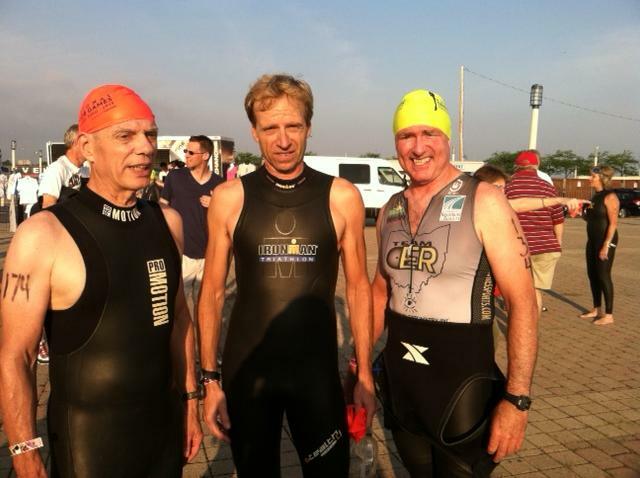 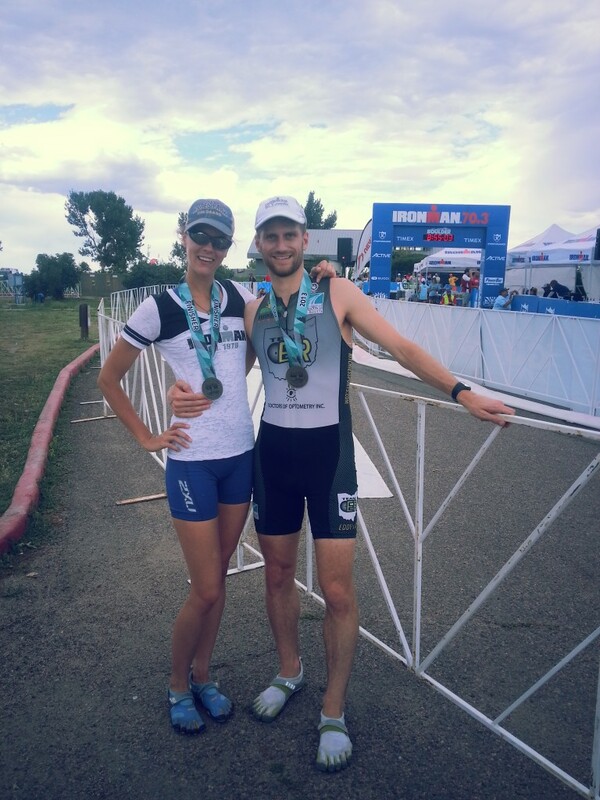 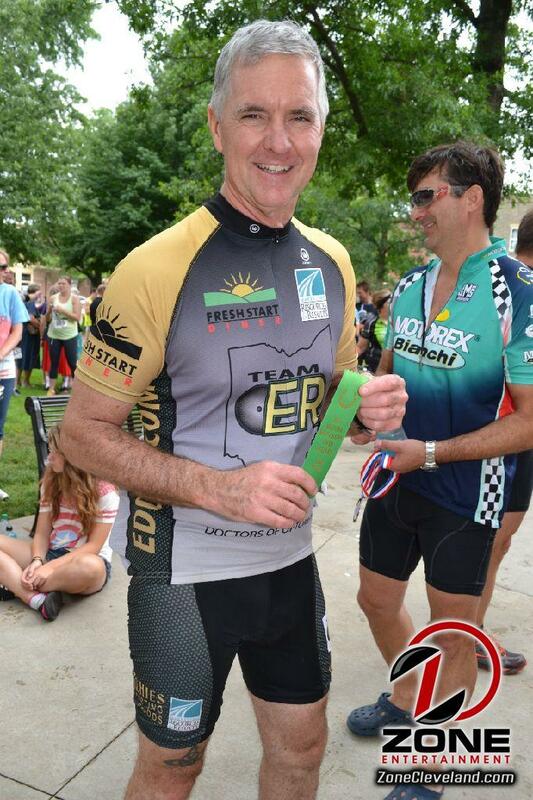 Clays Park Tri award winners, see what’s new section for results. 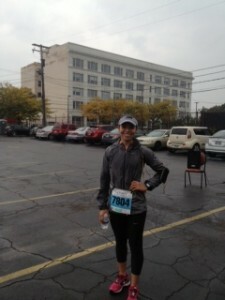 Alex after finishing the Cleveland 10K. 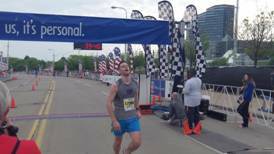 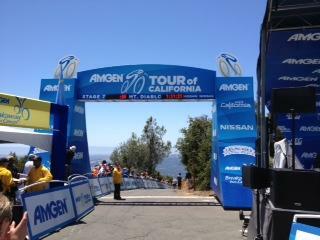 Alex at the finish line. 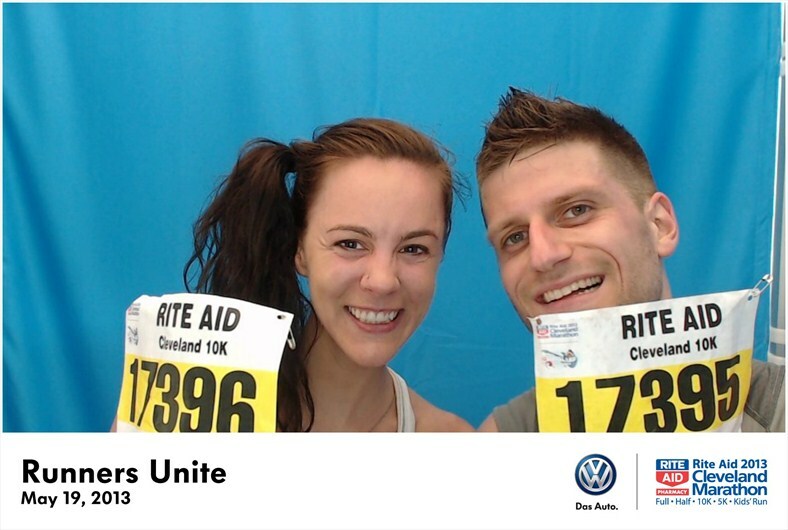 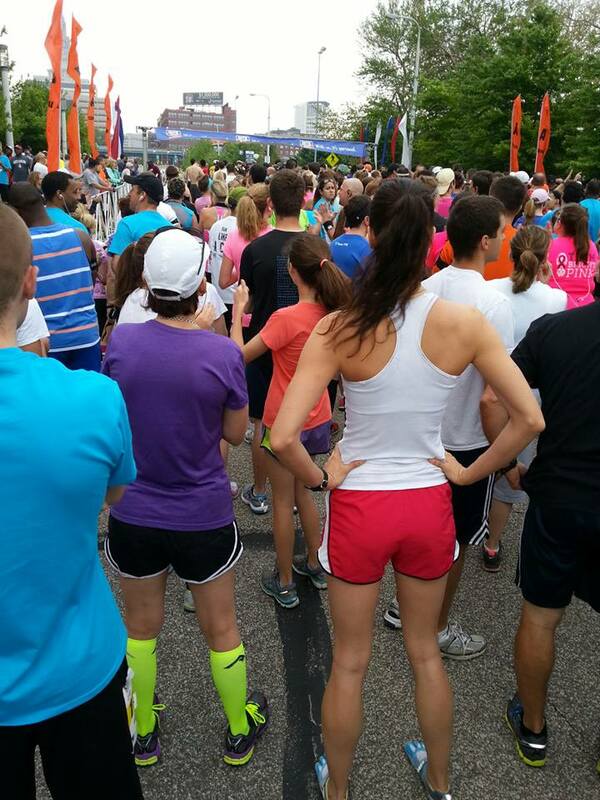 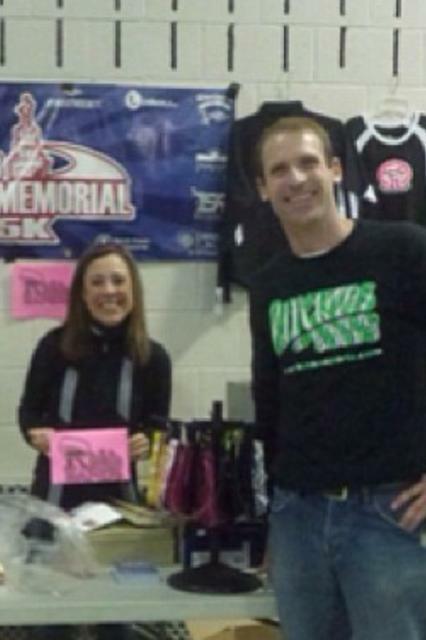 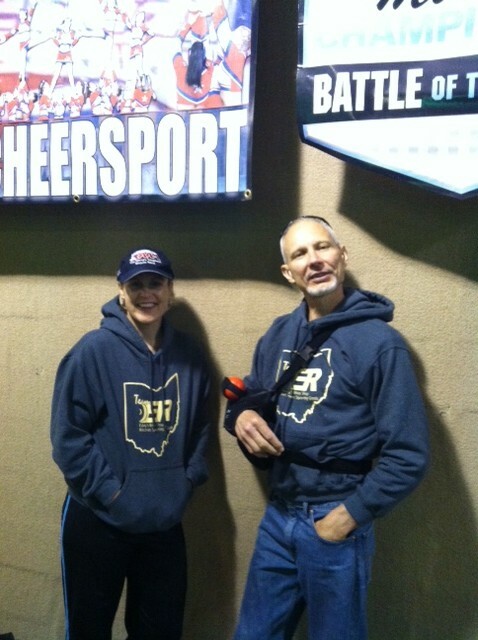 Colleen and Alex getting ready for the Cleveland 10K. 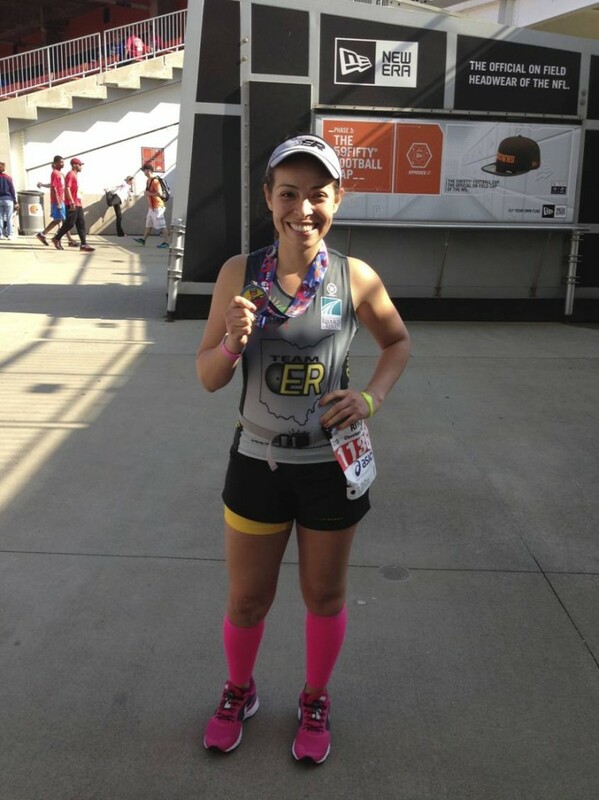 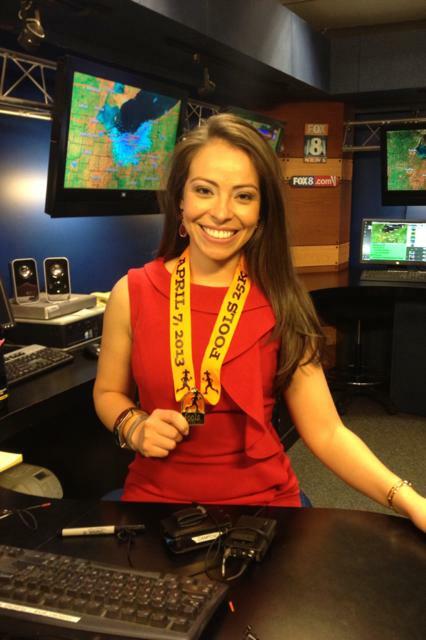 Angelica after finishing the Cleveland 1/2 Marathon. 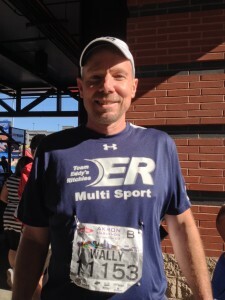 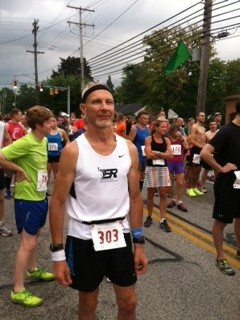 Ray running the Seymour 1/2 Marathon. 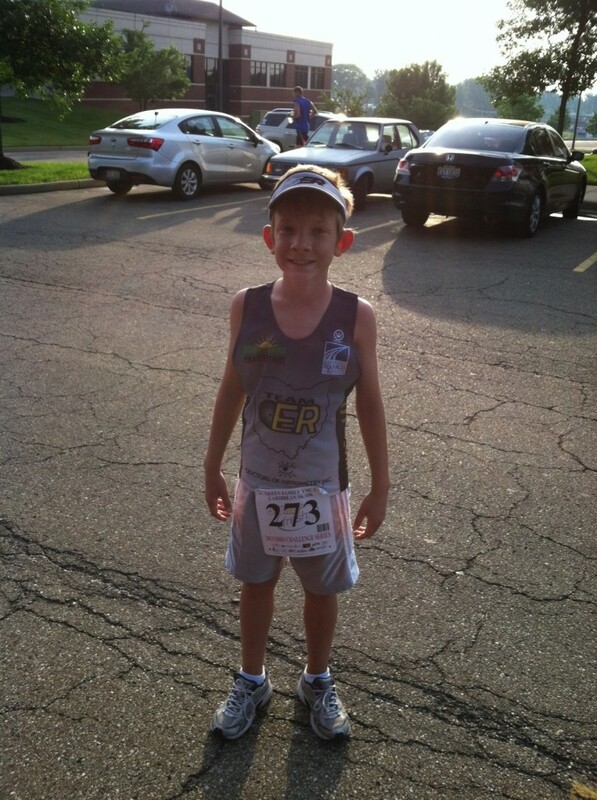 Alex at the starting line. 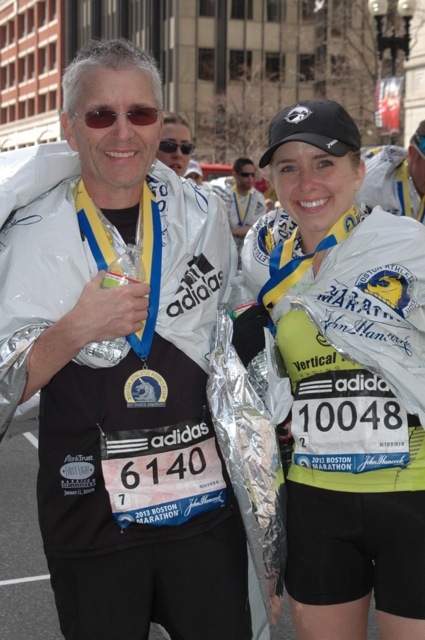 Ray Fryan and daughter Brig after running the 2013 Boston Marathon. 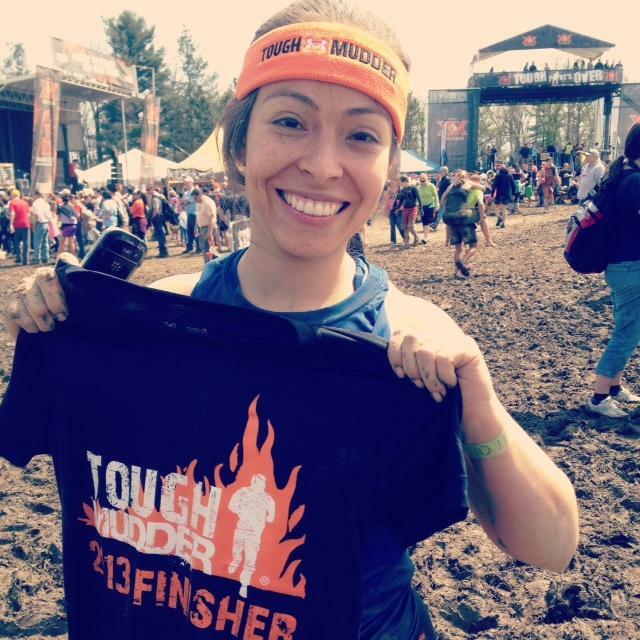 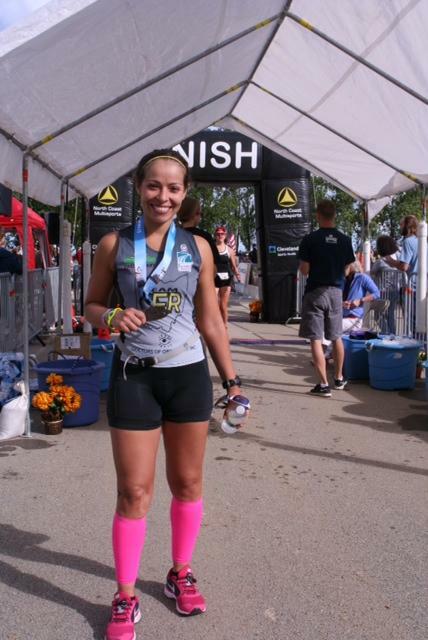 Angelica Campos at work after competing in her first 25k trail race. 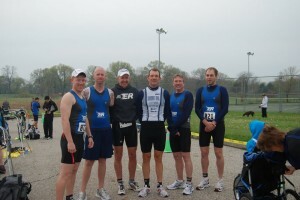 See the What’s New section for her race review. 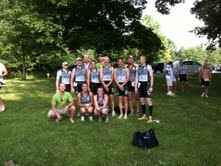 Click here to view Photos from Monroe Falls Sprint July 2010. 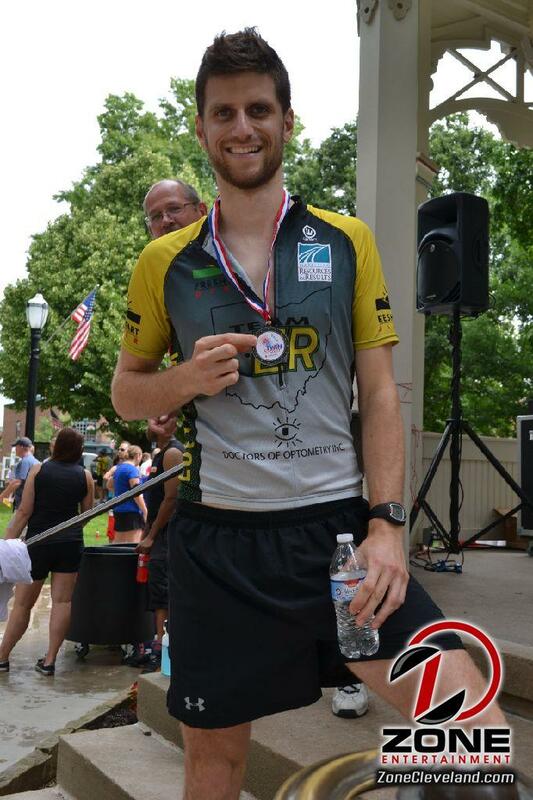 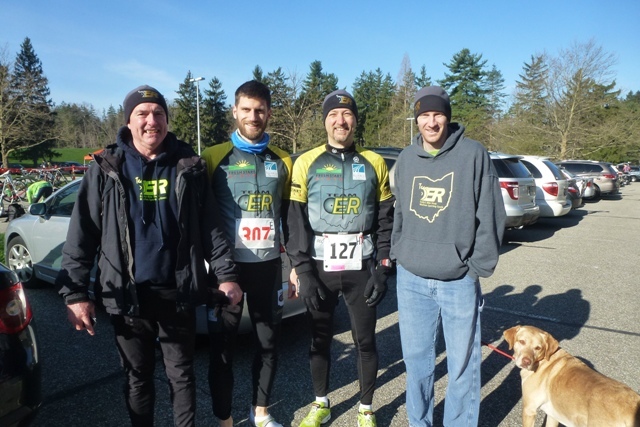 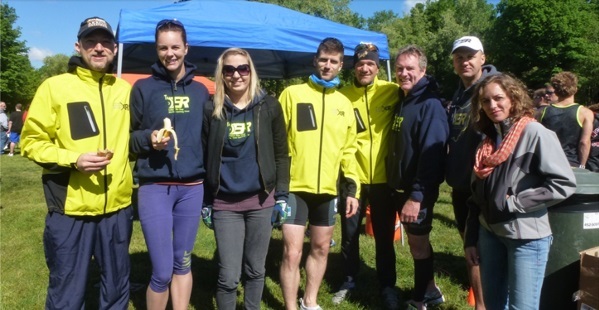 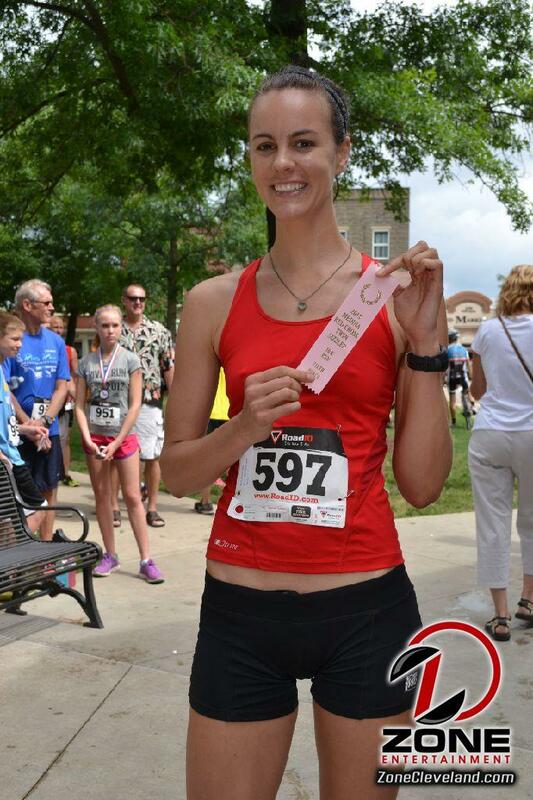 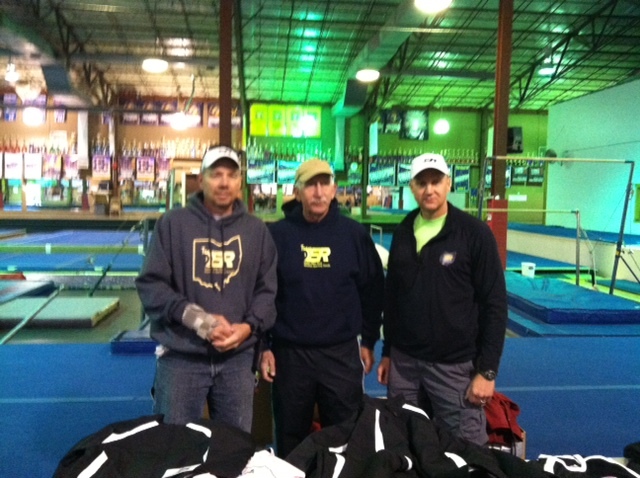 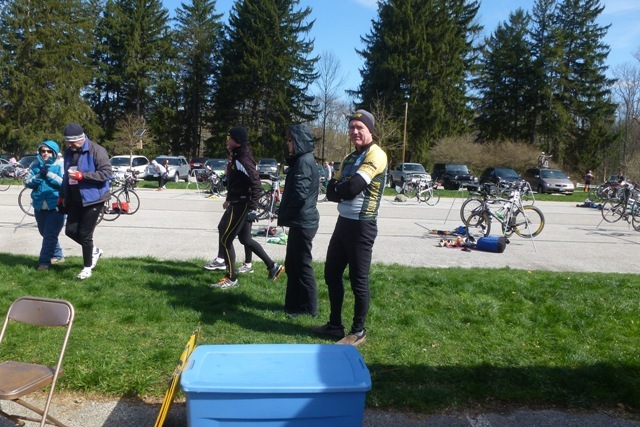 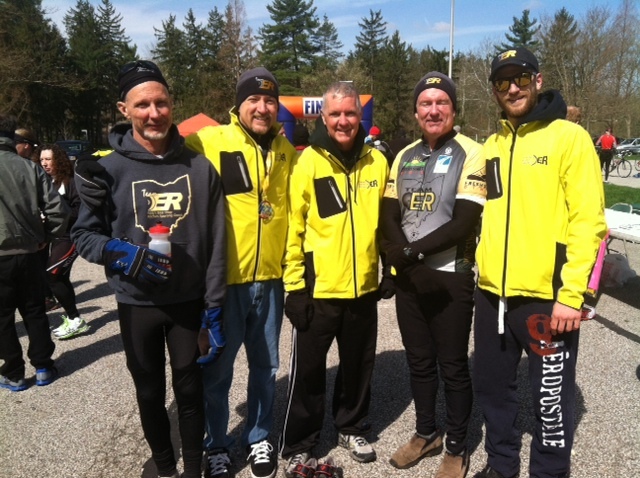 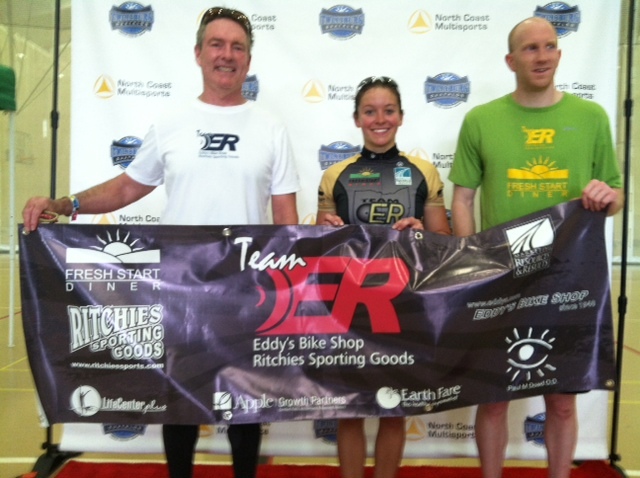 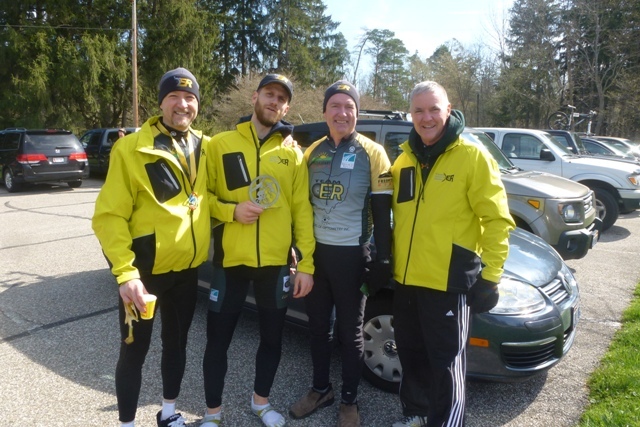 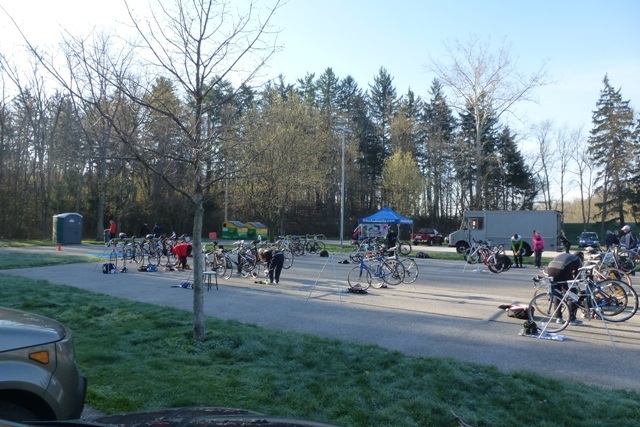 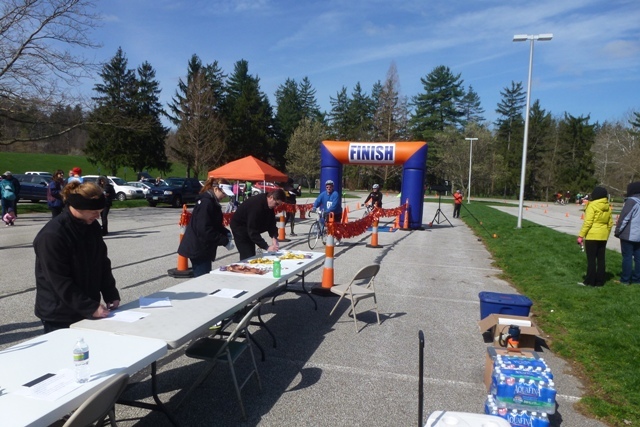 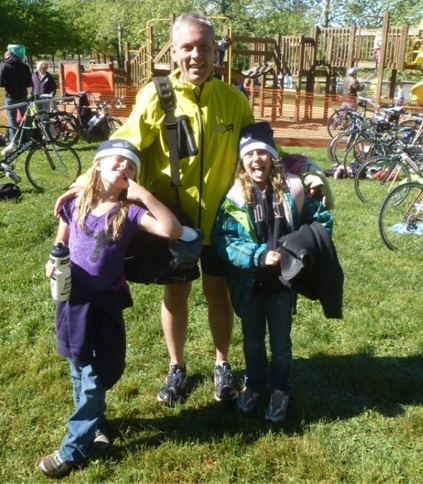 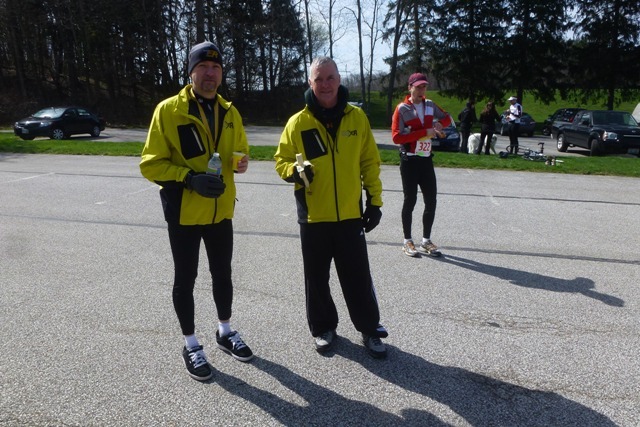 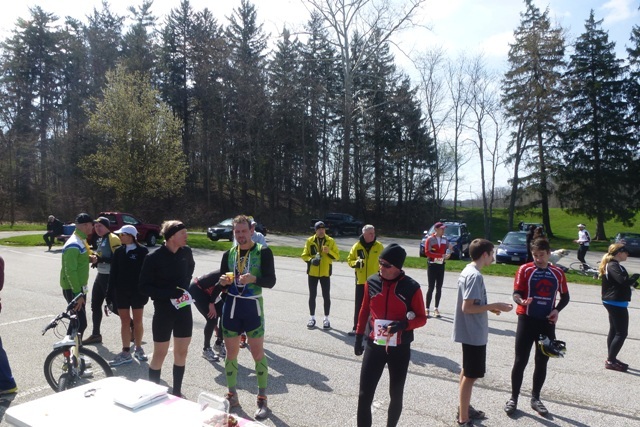 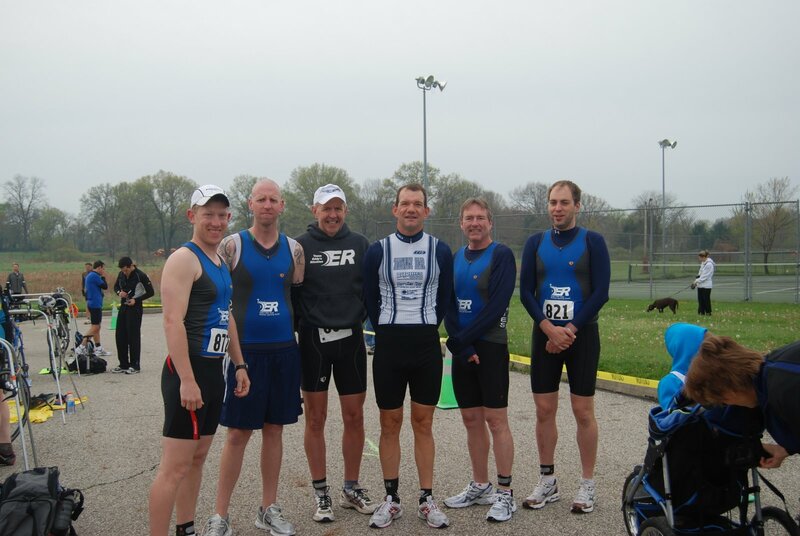 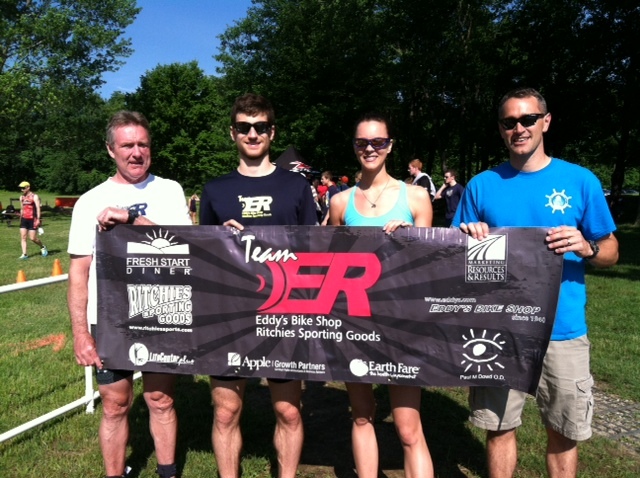 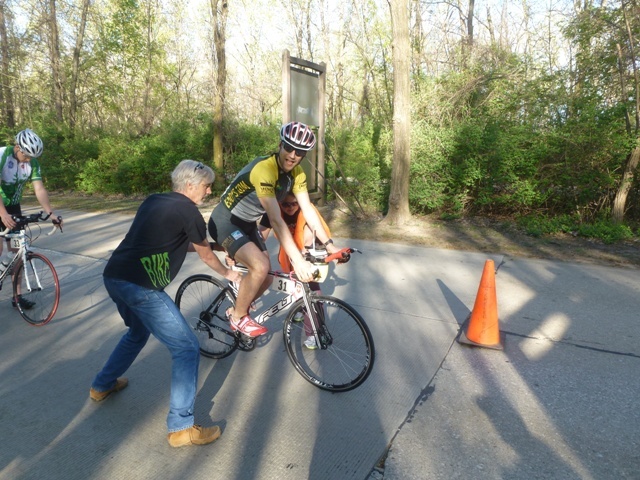 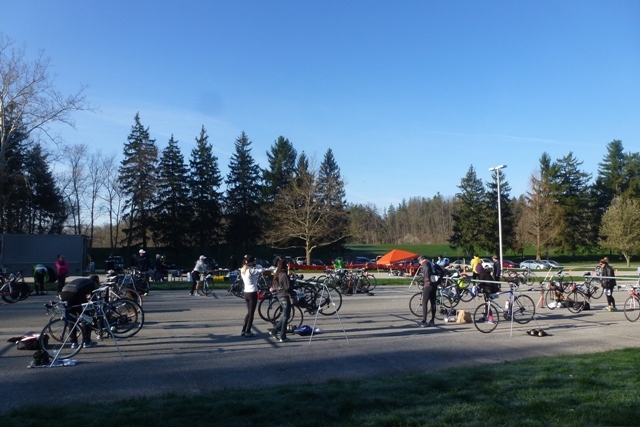 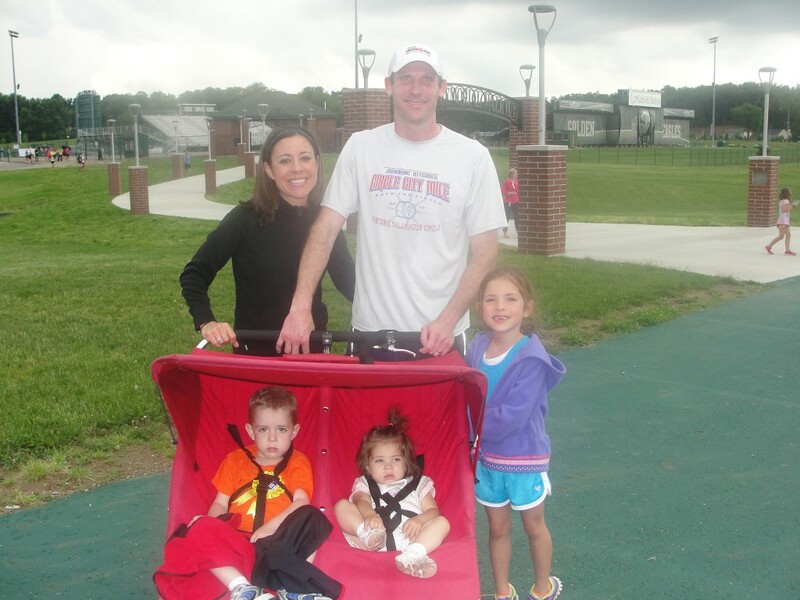 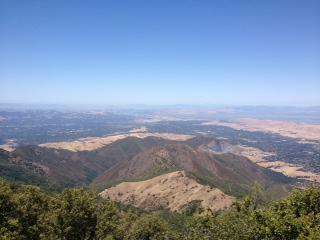 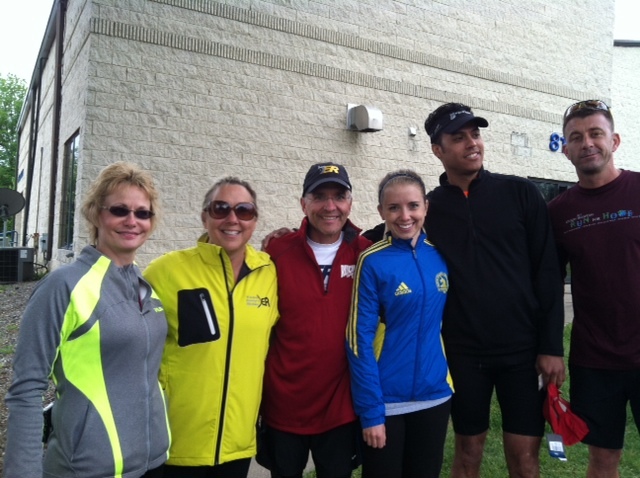 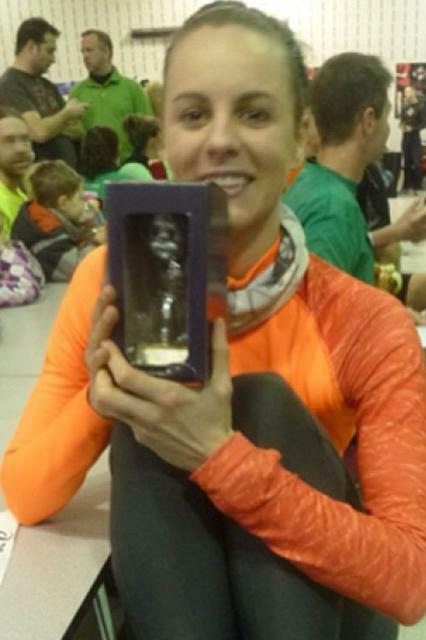 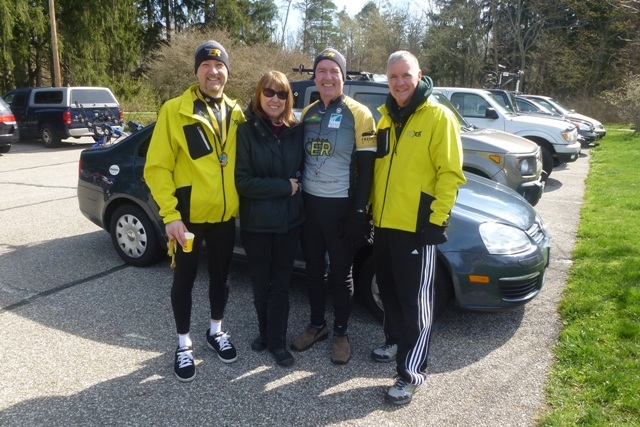 See results from Silver Spring, Buzzard Duathlon and Jeep Davis races listed on the blog. 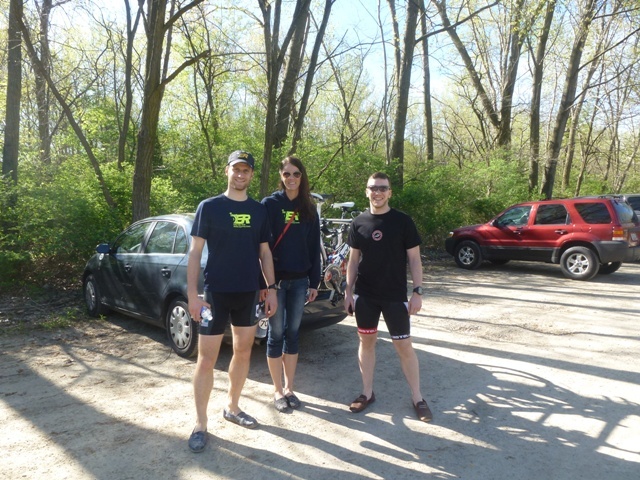 Click here to view Photos from Silver Springs. 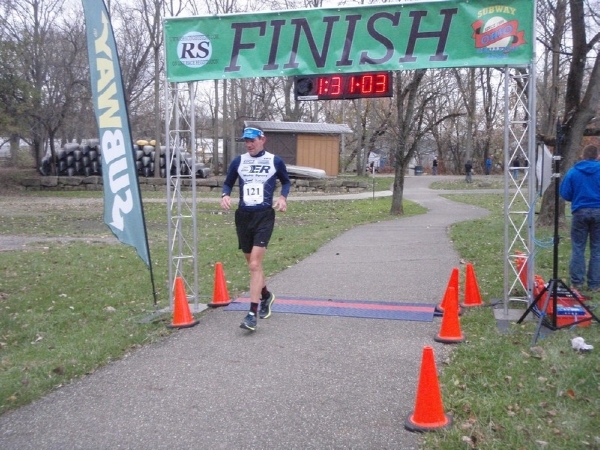 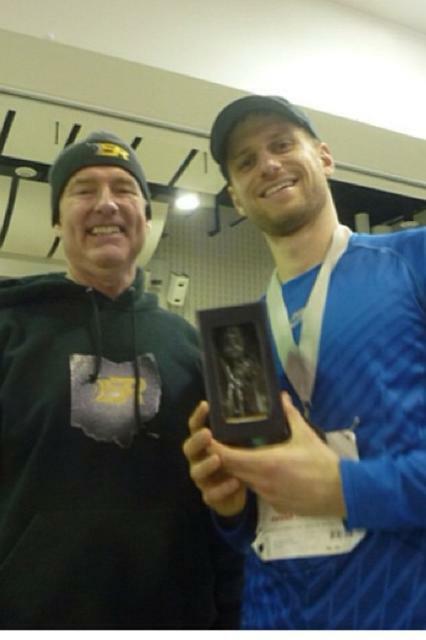 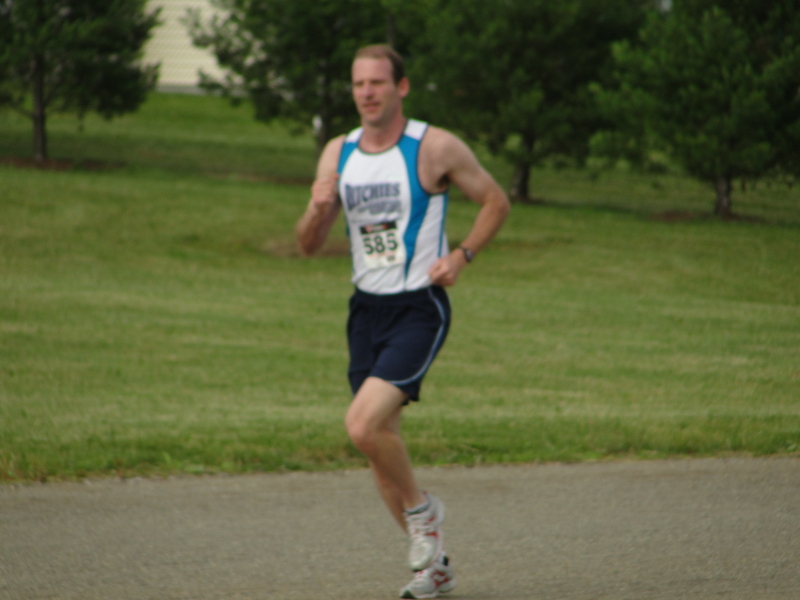 Chip Wilson of Team ER wins the Strongsville 5K in Strongsville, Ohio on March 21, 2009. 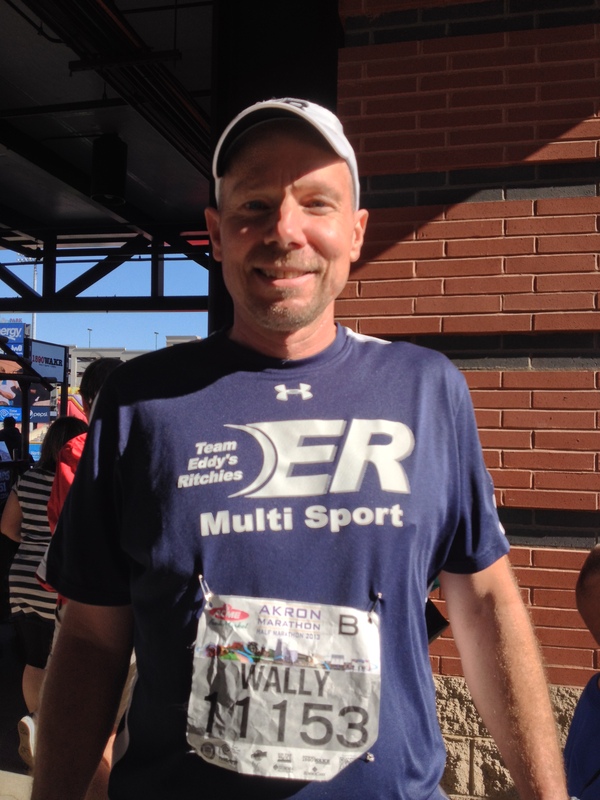 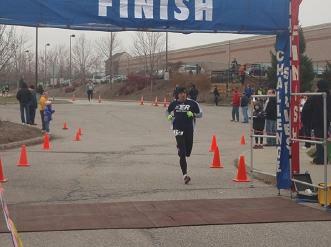 Time: 17:07.55 Pace: 5:31 Finished 1/226. 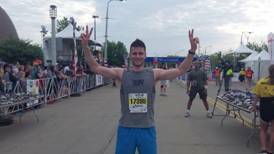 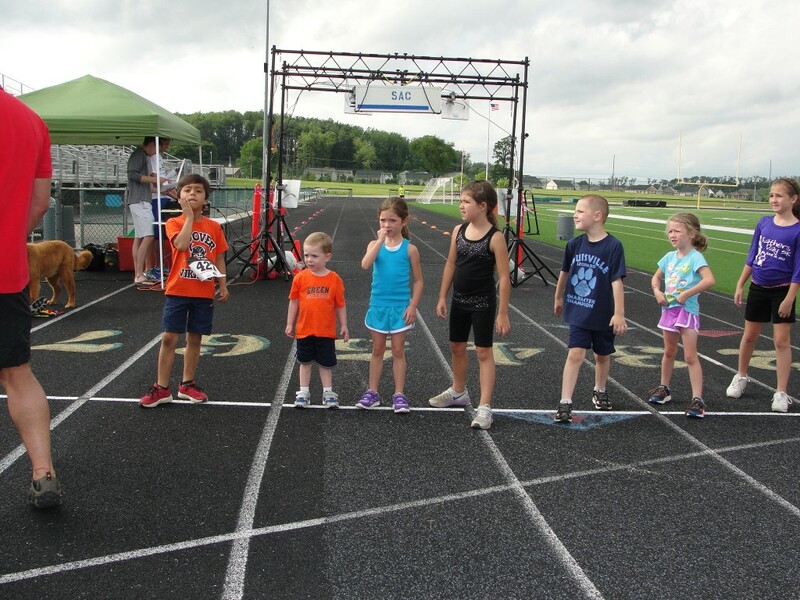 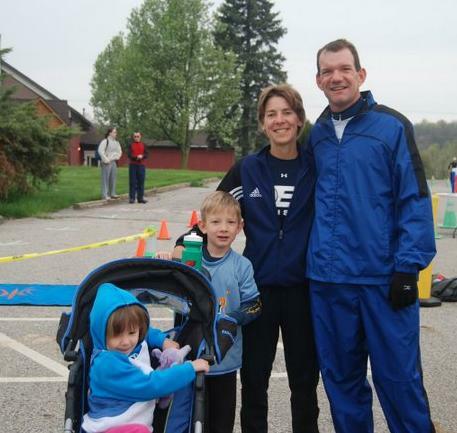 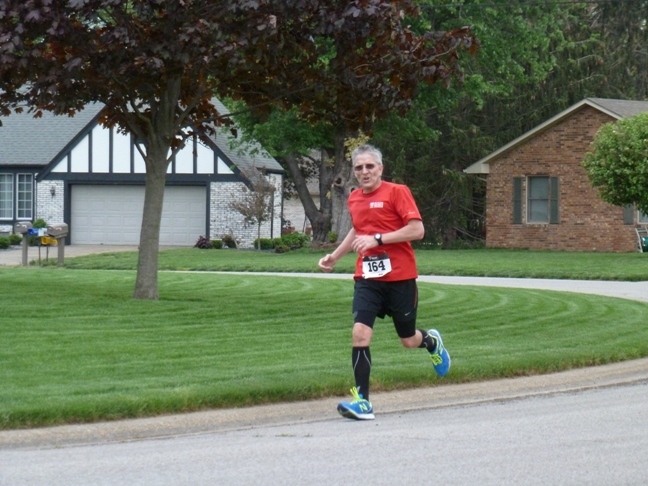 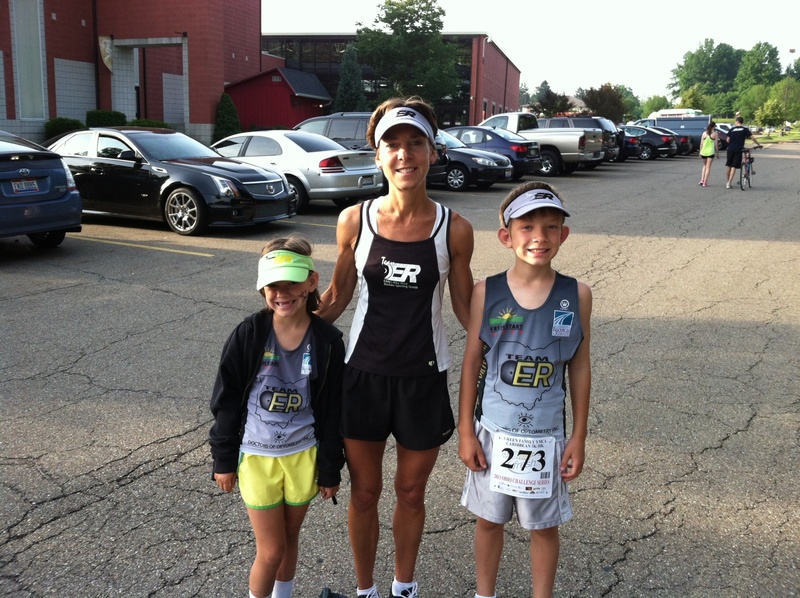 View all the photos and Strongsville 5K race results. Here are my results from the Shamrock 15K: Finished 13th overall, 2nd in the 25-29 age group and my time was 1:04:13, a 6:54 pace. 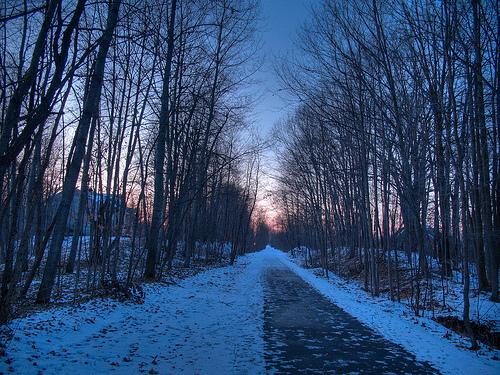 The bike trail in winter. 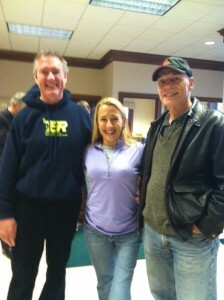 Taken in Stow, Ohio. 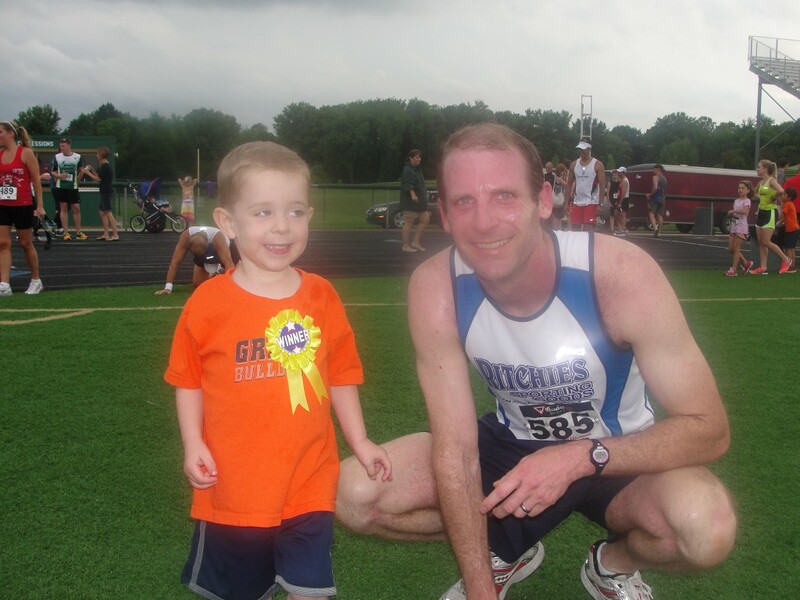 Courtesy Flickr Creative Commons fusionpanda.